There are many beautiful things about the holidays, and as a Solo Mom, you want to preserve for your kids the magic and the rituals that come along with them, as they can be such a critical part of the fabric of childhood memories. However, for the bereaved Solo Mom, this is often a balancing act because you are parenting children who are also grieving. That reality is never suspended—not even during the holidays—and because of that, my heart is with you. Holidays are often intense because they emphasize poignant things such as families and miracles, and I honor your struggle to balance remembrance with celebration. Even as I write this, my breath catches. As a bereaved Solo Mom, keep in mind that, although you are also grieving, encouraging your children to think of ways to remember a deceased parent during a holiday may help them, as is gently affirming your family’s collective experience of loss, which is both brave and beautiful, Mama. Depending on your children’s ages and their individual stages of loss, there are several rituals and activities that may be appropriate for them. A great place to start is by finding activity and ritual ideas that might help you and your children cope. The first thing you should consider is which of these feels right and authentic for your family. Also remember that this is a highly individualized thing—some people love rituals, while others are uncomfortable with them. If you like to light candles, by all means do so. People are religious to varying degrees. Prayer feels right for some but not for others. Know that there is no “correct” way to remember or honor a deceased parent, and the larger goal should be to model for your children that one can integrate grief with happy memories. Happy and sad can go together. As a Solo Mom, you are demonstrating that these things are naturally linked, rather than opposed, and this will help your children in the future as they process their loss for years. The next thing you might want to consider is that children process and understand grief and loss very differently, depending on their age. 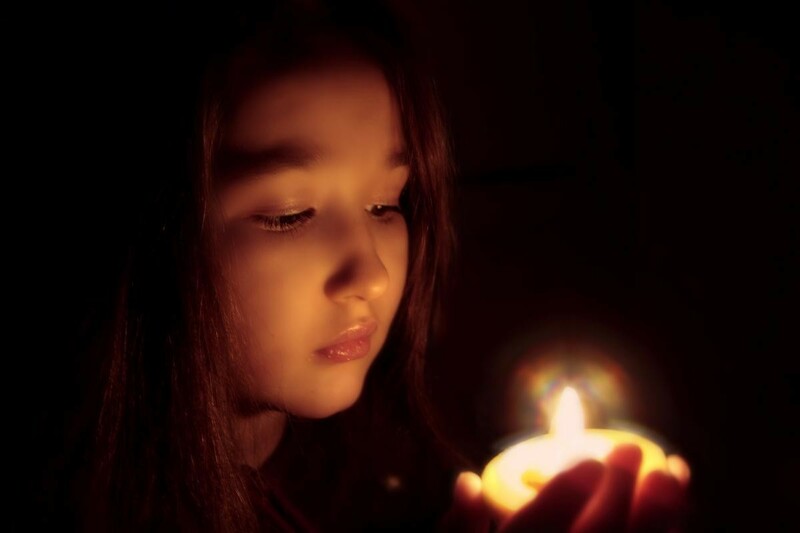 If your children are of varying ages or simply have a different take on death and loss, you can identify a ritual or an activity that is likely to resonate with each child individually. Or you could identify one that you could all share. No matter which ones you choose, they will help you evolve your family and grow together, and don’t be afraid to consider what is comforting to you as well. Make a holiday decoration. Go to a craft store, and buy materials to make a holiday decoration. It can be an ornament, a menorah, an Easter basket, or a nonreligious decoration such as a love box. Crafting with your children will give you ways to work together and talk to one another, and there are so many activities for you to consider. Cook together. Did the deceased parent have a favorite dish or dessert? Did he or she love chocolate mousse cake? Make it together every year. Most of us have our favorites, and these tactile memories can be very reassuring. They demonstrate that memories live on and show us that the departed can stay with us in tangible ways. In addition to the comfort cooking brings, working together in the kitchen is time spent as a family and working toward a common goal. There are opportunities for discussion, but this activity can be adapted to match any level of intensity. Work together to write a story. This doesn’t need to be too fancy—a pen and paper is certainly more than enough. However, you can also consider something you can publish and share with others, if you are so inclined. Self-published books may also be good presents for grandparents, aunts and uncles, and so on. They can record individual memories of the deceased from various personal perspectives. This sort of curated memory book has the advantage of removing some of the need to store everything for the kids on the shoulders of a Solo Mom, and inviting others to participate is a lovely gesture. It reminds a Solo Mom that the responsibility of sharing and pooling memories for their children can be shared, and it is a meaningful gift from the grieving community to the children of the deceased. Share a memory privately. Keep it simple and personal. If you don’t always want to record or share everything, don’t. Tell a funny story about the deceased parent—something ridiculous he or she did that is nice to hang on to—for whatever reason. Resist the impulse to present yourself as unequivocally happy all through the holidays. Your children can learn a valuable lesson about the nuances of living through grief. They can see that love and grief and joy and memory can get all mixed up and that this is OK and such a gift of love from you to them. Read a story the deceased parent loved. Or, read a story the parent read to the children. Again, this can attach a Solo Mom to a concrete memory of the deceased. Although this may be painful sometimes, it can also be concrete and comforting. You might consider creating a holiday tradition around a particular book or poem or story. It doesn’t necessarily need to be holiday themed, but it might, over the years, emerge as something children associate with remembrance. The muscle memory of loss certainly can be exercised around the holidays in a way that is not frightening or overwhelming to your children. Giving a child permission to remember a deceased parent can be an immense relief to a child who is trying to cope with loss. A child likely will not recognize that these efforts are an attempt to relieve his or her sorrow, but that is why Solo Moms who help their children understand that grief is normal do them a great service. In losing a parent, grieving children are already living outside the normative experience of children. Helping them see their way through this complex world is a gift that truly does keep on giving.